In todayâ? ?s fast-paced world, the simple act of expressing a sincere â??thanksâ?? has largely been lost. But it doesnâ? ?t have to be. Although it seems like nobody has any extra time, Bloomex takes the hassle out of ordering flowers and you know that once you click, youâ? ?re in good hands. A little gesture can go a long way, and a token of appreciation combined with a handwritten note is an easy way to make a lasting impression. So check out these seven gifts from Bloomex that make for a perfect way to say thanks. Maybe itâ? ?s the babysitter that had to stay late, or the person that returned your lost wallet out of the good of their heart. We recommend: Gourgeous Geberas ($24.95). This colorful bouquet brings a ray of color into any room, and its beautiful, vibrant blooms ensure that it lives up to its name. Boss gave you a promotion you werenâ? ?t expecting, or gave the thumbs-up to extra vacation time? It might not be most peopleâ? ?s first thought, but a planter basket for their desk is a great way to score some points. 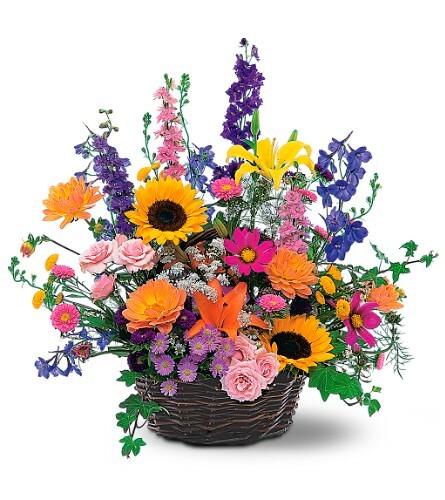 We recommend: Colourful Garden ($34.95). This looks great on office desks and at 10â? x 6â?, doesnâ? ?t take up too much room. Perhaps theyâ? ?ve done something nice for you lately, or perhaps itâ? ?s just a general â? ?Thanks, mom and dad.â?? Itâ? ?s never a bad time, is it? We recommend: Lily Sunshine ($34.95). 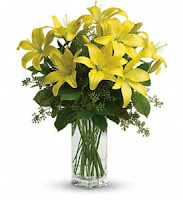 This bright yellow bouquet of Asiatic Lilies makes for a perfect reminder of their favourite (just kidding!) child. Whether itâ? ?s for your kids teachers around the holidays or end of school, or youâ? ?re a grad student, a bouquet for a beloved teacher is a lovely act of gratitude. We recommend: Fruits and Chocolates ($39.95). This basket comes loaded with 4 assorted chocolate treats, a branch of grapes, 2 oranges, 3 apples, 3 pear and a nectarine. Kind of puts the old, standard, solitary apple to shame, doesnâ? ?t it? Itâ? ?s always nice when a colleague at work steps up to help you out with that big project, or covers your phone when you have to step away from your desk. We recommend: Fruit and Cheese Basket ($49.95). Practical and handy, this basket contains assorted premium cheeses, 3 apples, 4 pears, 1 branch of grapes, 3 oranges and a nectarine. Your colleague can cut back on buying snacks for work for weeks! An everlasting friendship should never be taken for granted; it should be celebrated. Let your best friend know that youâ? ?ll always be there for them. Our significant others become the most important people in our lives, so be sure to express your gratitude toward them, whether theyâ? ?ve done something specifically nice for you lately or not. They deserve it! We recommend: Endless Love ($84.95). This bouquet is absolutely breathtaking. Twelve long stem red roses â?? always an excellent choice â?? 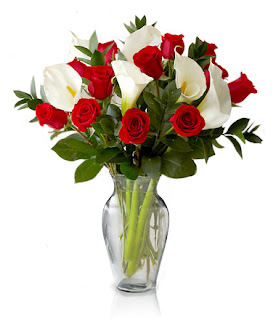 are accented by five White Calla Lilies and complimented by fresh greens. For more ideas on saying thanks, be sure to check out our â? 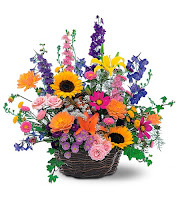 ?Thank Youâ? Flowers & Gifts page on Bloomex.ca, right here!